At our clinic we recognize that the human body functions as a unit. Therefore, we incorporate a "whole body" approach to the treatment of symptoms, in the belief that this holistic approach is necessary to help patients improve their function and health. The variety of musculo-skeletal symptoms that people have are usually related to misalignment and muscular imbalances, resulting in strain and stress occuring within the muscles, tendons, ligaments and joints. Treatment is directed towards helping patients return to an improved state of muscular balance and skeletal alignment, thereby reducing the strain on the body. In essense, we move beyond symptoms and address the causes of dysfunction. 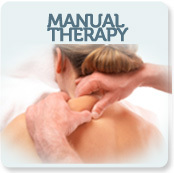 Our therapists use a number of manual therapy techniques designed to restore soft tissue function, spinal alignment and joint function. 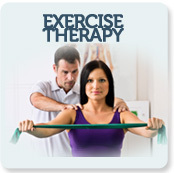 As well, each patient is instructed to perform an individualized progressive home exercise program. These exercises emphasize strengthening of the core postural muscles to increase stability of the spinal column and pelvis. Our approach is very effective in treating many soft tissue and joint-related injuries. 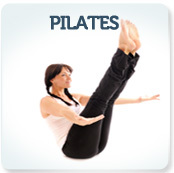 Our goal is to empower the client to reach his or her optimal level of function and health.